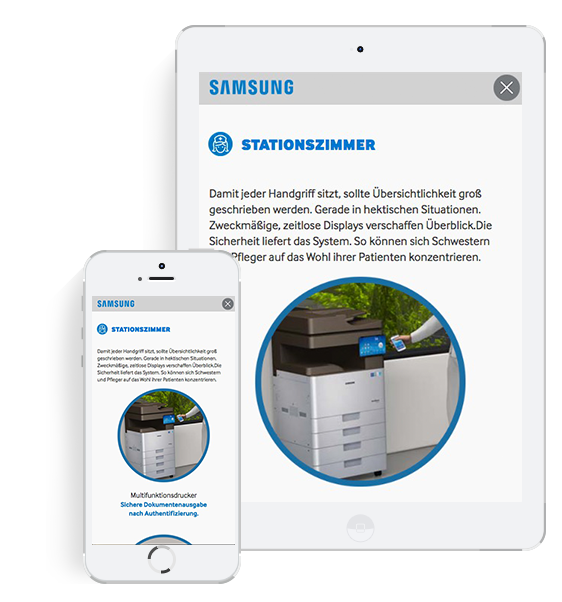 In a case study, Samsung and the ETHIANUM Clinic in Heidelberg successfully modelled a modern clinic infrastructure as a networked system. Products from the Samsung portfolio were an integral part of this solution. The results of the study were therefore to be part of the technology group’s sales strategy. The challenge was to present the data clearly, comprehensively and in an appealing way as a fast-loading micro-website for all devices. The timeframe in which to depict the Samsung range of products in the context of the healthcare study was very tight but despite this, ALLEHERZEN and K16 first developed a communication strategy. A key objective was that Samsung should gain long-term added value from the presentation of the data. Content, design and technology should complement one another on the way to the final product. Synergies were achieved in the development of the microsite – together with ALLEHERZEN, a reliable data architecture was created that met the communication goals of the project in the best way possible. 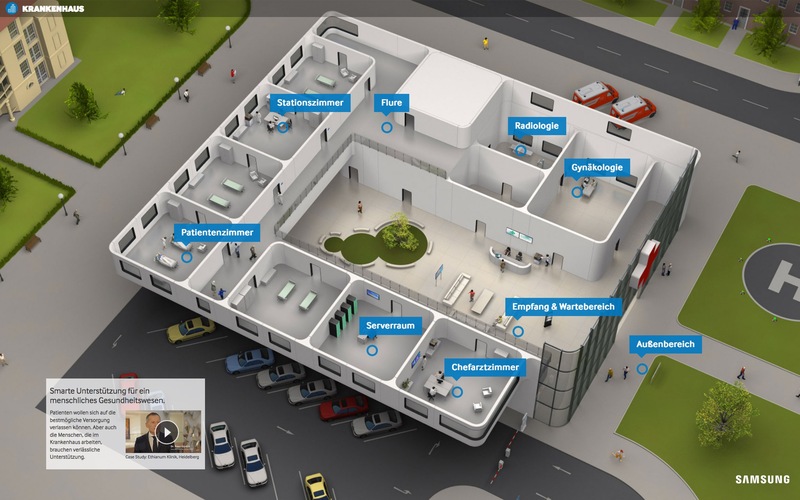 The networked model hospital was depicted from an isometric perspective, which meant the presentation was reminiscent of an interactive video game which invited viewers to go on a tour of discovery and made the user want to see the detailed content. In addition to the responsive website, a special tablet version for direct customer contact was created.